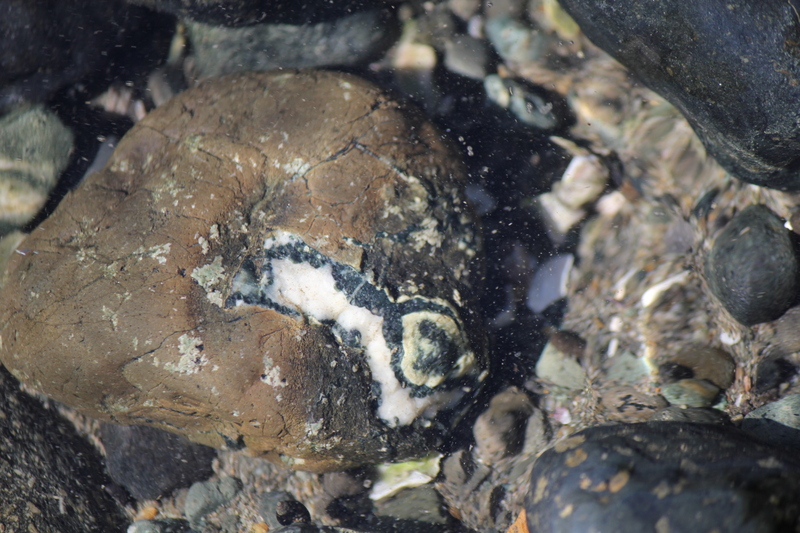 Here’s the look I get every time I come down to my favourite little beach on Vancouver Island to rockhound. It’s very rarely used but covered in jasper rocks and others. Of course, this is the view you get with your head tilted to the left a bit, haha. 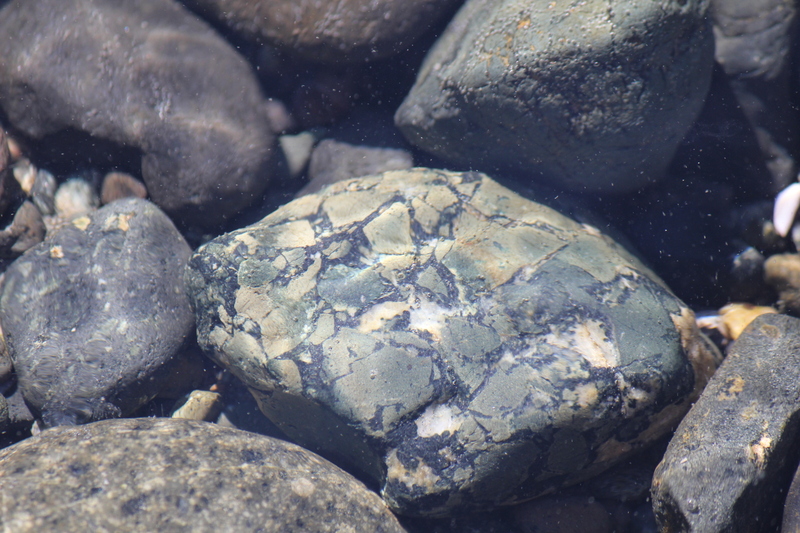 I’m after Dallasite (a jasper breccia found only on Vancouver Island) and Flowerstone (a porphyry also found only on Vancouver Island) primarily, but there are lots of pretty rocks to get into here. Also of interest are vesicular opal pieces and a banded green rock I have yet to identify, but I believe is serpentine. 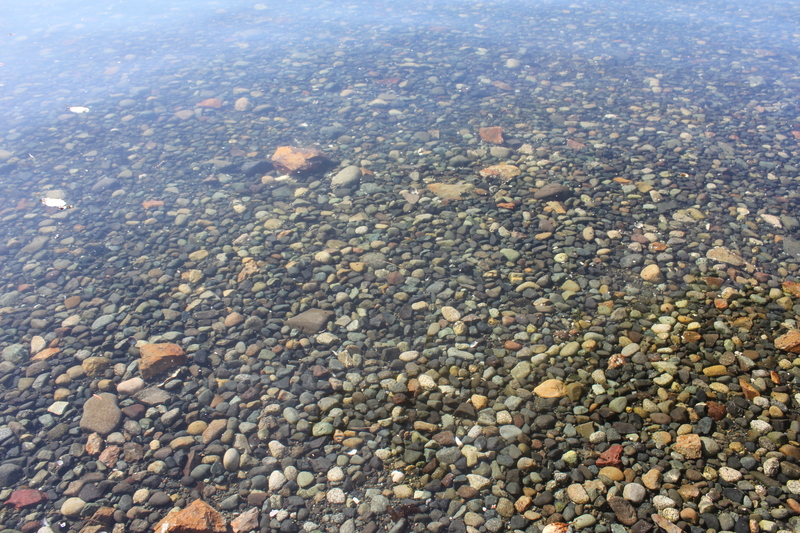 A look into the water at this Vancouver Island beach. I’ve got trucker’s arm already this summer – my left arm kills me to be in the sun, so I tried to spend much of this trip in the shade or out of direct sunlight. 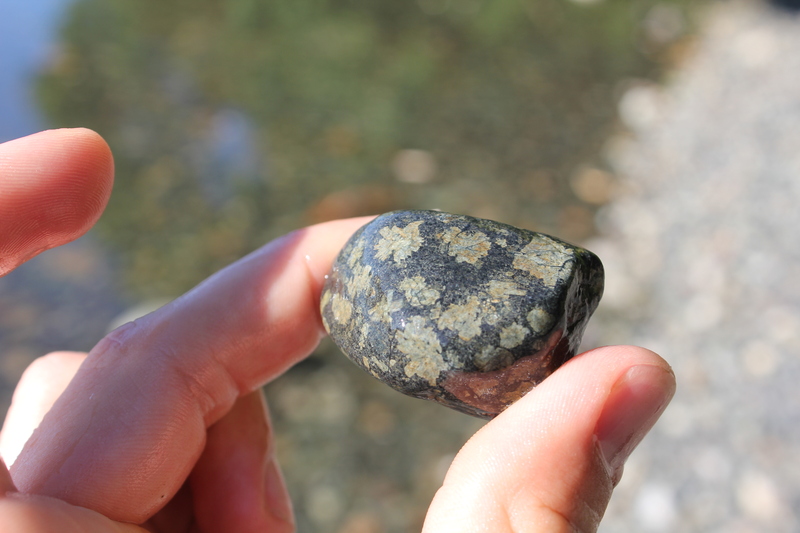 A little Flowerstone piece (also known as chrysanthemum stone) from Vancouver Island. 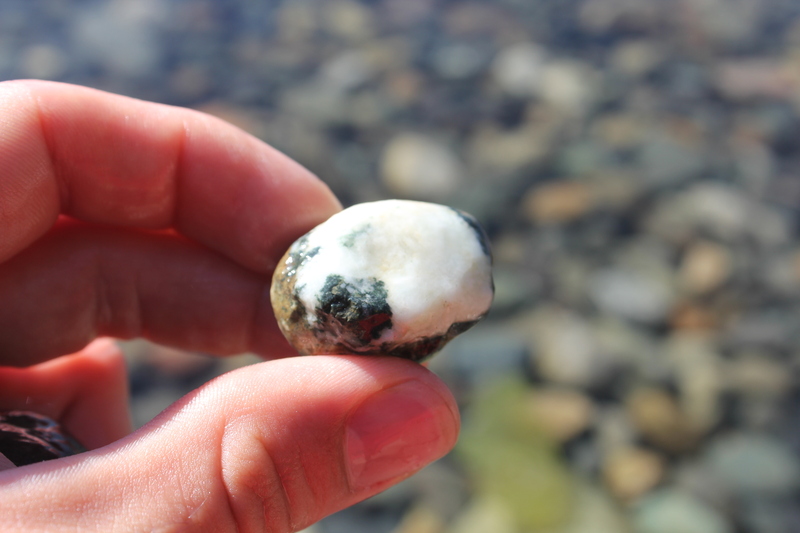 An egg-like chunk of Dallasite jasper from Vancouver Island. I liked this piece of Dallasite jasper. It had a bit of an “eye” thing going on. 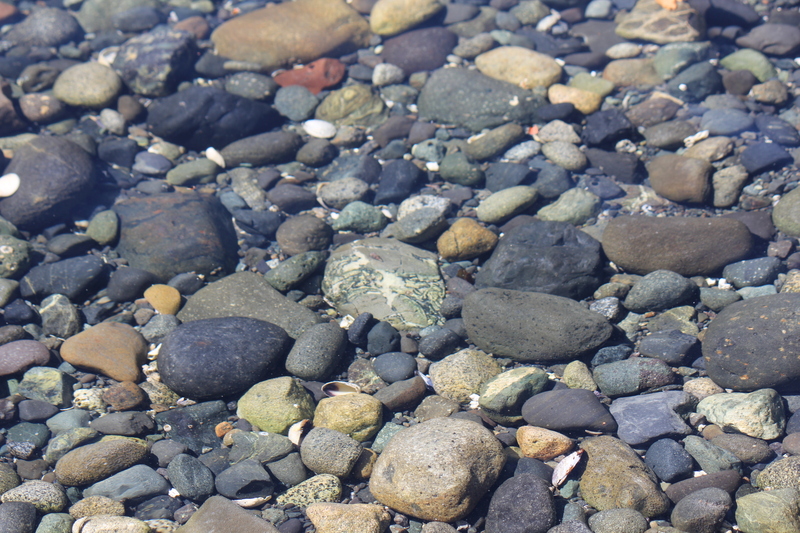 Dallasite in its natural habitat, the eastern Vancouver Island shoreline. It is a jasper breccia that ranges broadly in appearance. This one has a lot of the yellowy/brown area with black seams and some white windows and block dots. Here’s a nice Flowerstone piece of off-white feldspar crystals on a dark gray background. My favourite Flowerstone of the day. This one has a lot of flowers on it but not every one has developed fully, many are more just warped circles. I love the colouring. It’s also known as chrysanthemum stone and Chinese Writing Stone. The latter has a bit of a different look though. Two small pieces of Dallasite jasper on a big one, with a small vesicular opal on basalt behind. The big Dallasite has a lot of boring basalt on the other end but a great design on half of it. Two pieces of Dallasite on the left and a vesicular common opal piece in basalt on the right. Notice the blue coming out. 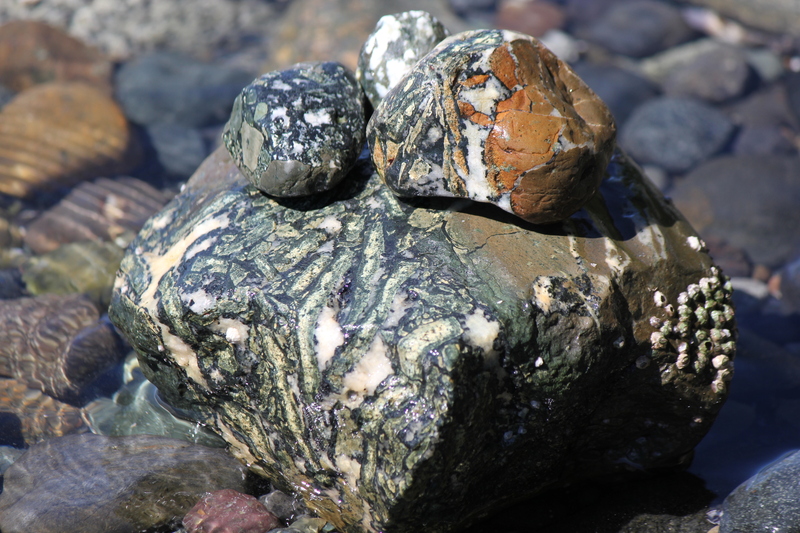 A buried but beautiful piece of Dallasite jasper on Vancouver Island. It really flashes its designs at you. Until next time! 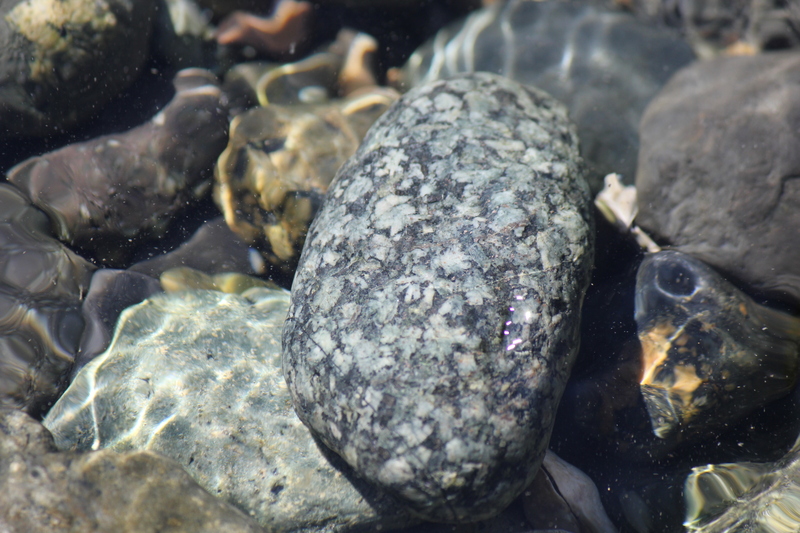 I’ve just made my first visit to the Nanaimo River – more inland rockhounding to come. Some greattach specimens! We’re new to rock hounding, got the bug while RVing southern US all winter. 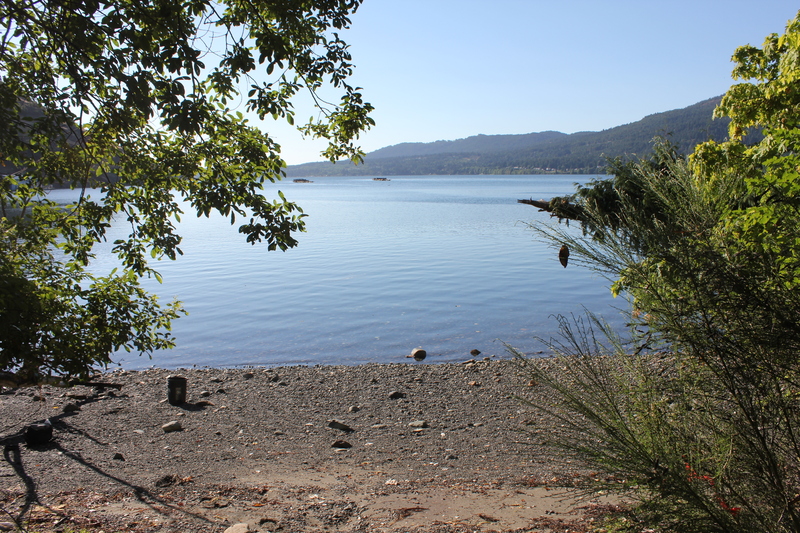 We’re camp hosts at Gordon Bay Provincial Park. Any advice on locations would be greatly appreciated! If you take a quick scoot up to Island View Beach. 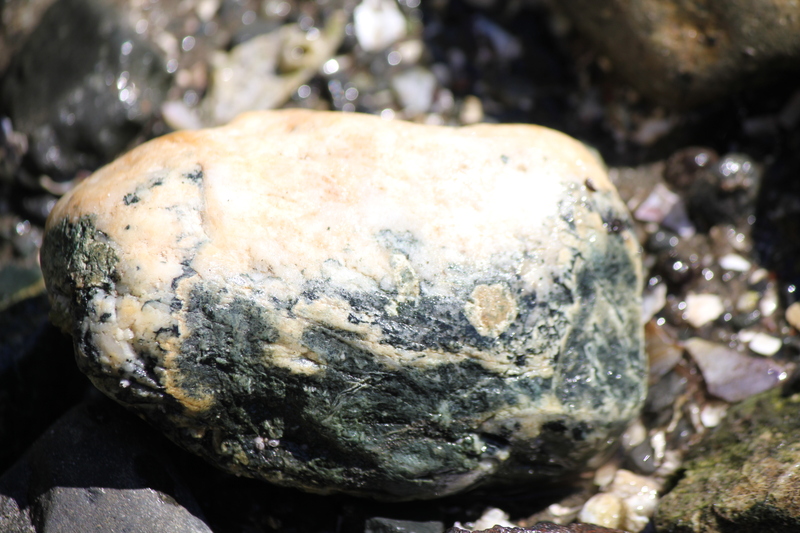 Lots of dalasite here in Comox, finding nice specimens takes patients Look for it on dull wet days when it just pops out of the so so stuff.I Also find what I believe is green jasper. I call it camo stone because that’s what it looks like. green with lighter green in bands. polishes great, very hard! 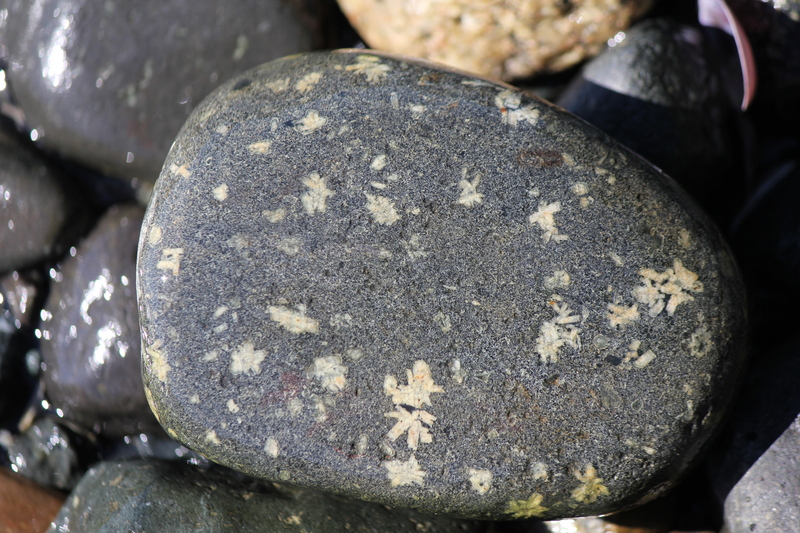 Find lots of it around Buttle Lake, but can also be found on the local beaches. 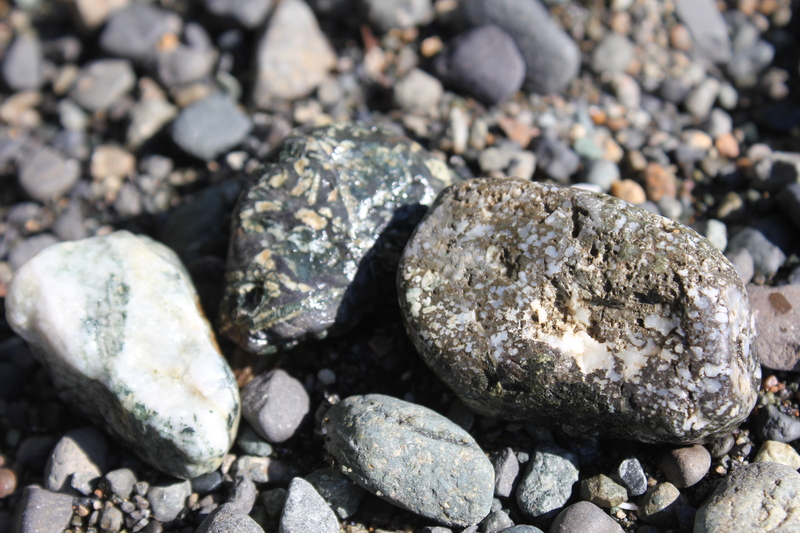 there is A nice variant of dalasite, that can be found around Comox Lake, that has A blue tinge in the quartz. Very pretty also polishes very nice.